If you haven’t noticed already, I love to build things from scraps around the house. I hold onto just about any usable size piece of wood. 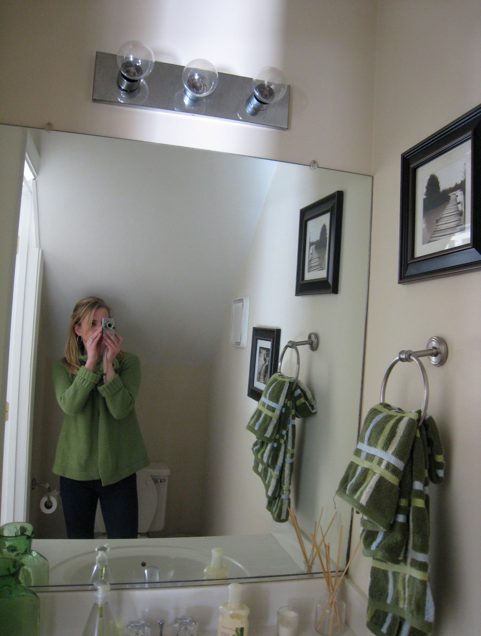 This also then extends to other miscellaneous items…one of which was a large mirror removed from our hallway bathroom, details found here. The mirror has been sitting in my garage tucked against the wall for several months now. 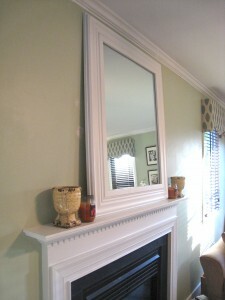 As we began to think through our living room decor we decided to have a large mirror placed above our mantel. This is the mirror that we started with. It measured in at about 36″ x 42″. 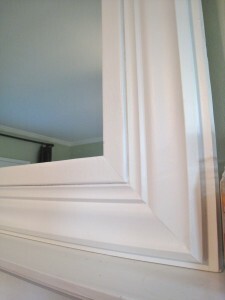 For the frame, I purchased some 1×6″ and some crown molding. 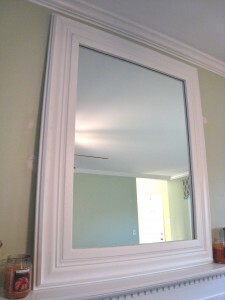 We wanted the mirror to be tall, so I need to conceal a lot of the width to give it the appearance of a taller mirror. I mitered the 1×6″s and built a frame that measured 38″x48″. I used my Kreg jig and some wood glue to construct the frame. 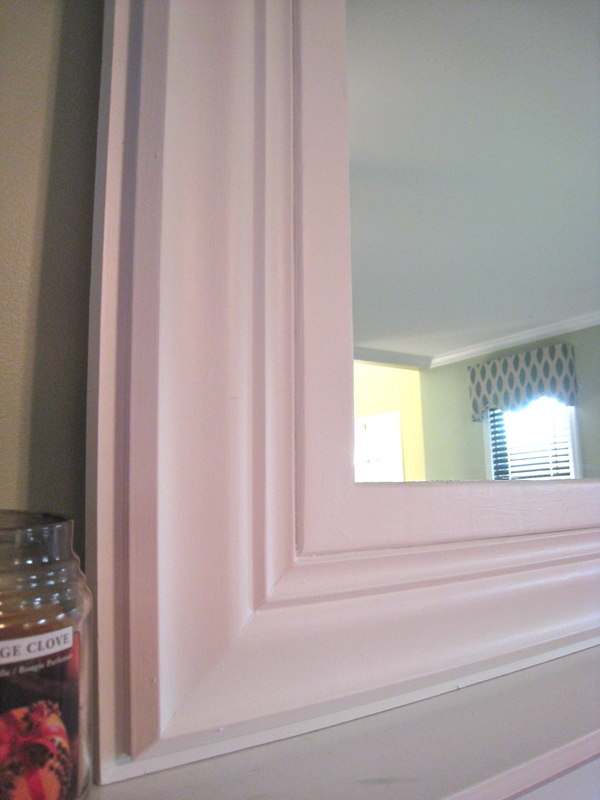 I then used some thin pieces of scrap to make a frame around the 1×6″ in the exact size of the mirror. I used some Liquid Nails and some nails to secure it all together. I also used the Liquid Nails to adhere the mirror down to the 1×6″s. 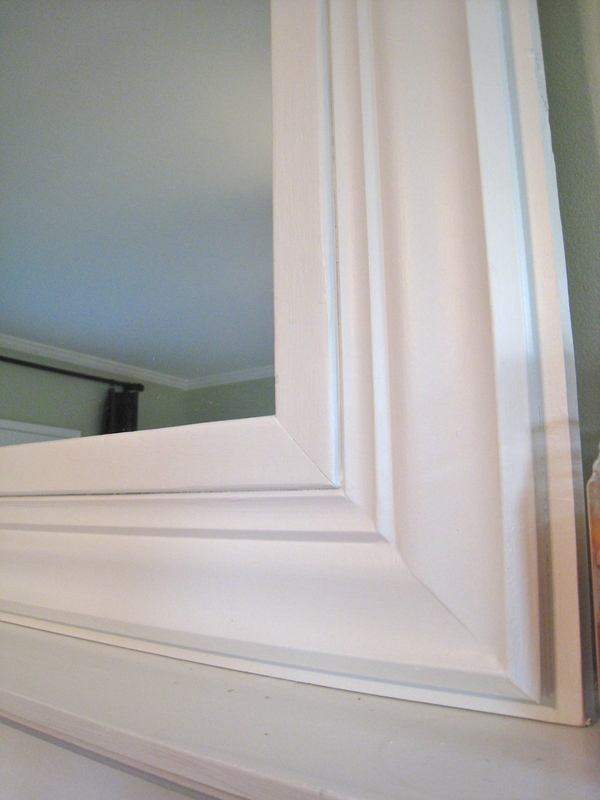 The next step was attaching the crown molding with mitered edges over the mirror. 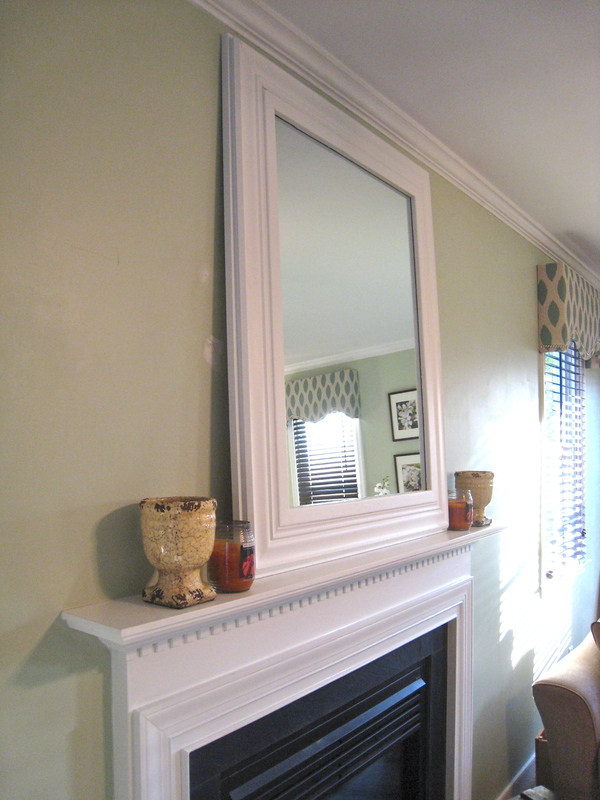 On the sides, the crown molding covered about 3″ on each side….on the top and bottom it went right to the edge of the mirror. 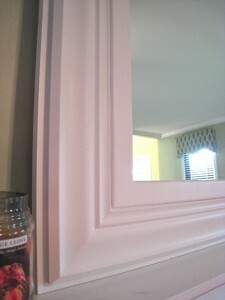 I nailed the crown molding into the 1×6″ and Liquid Nails on the parts touching the mirror. 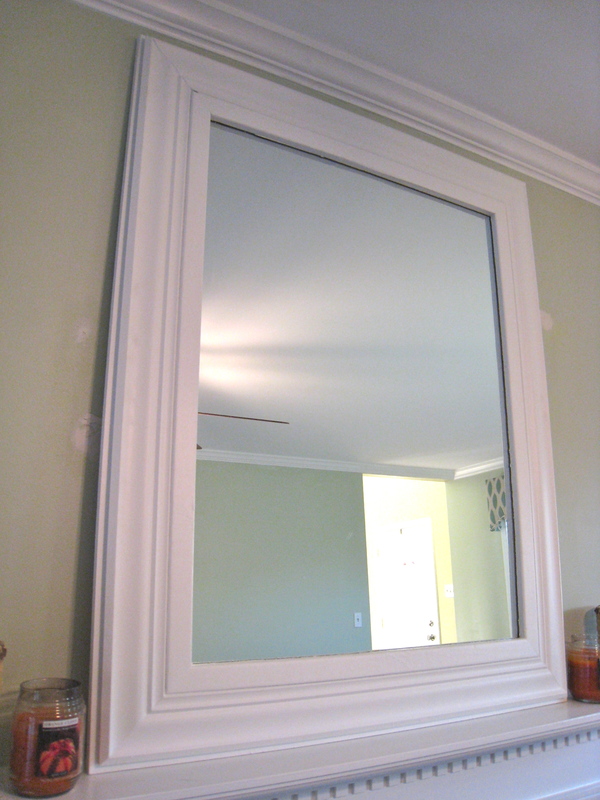 For the last piece of trim, I used some scrap wood and put it on the inside portion to give me a flat surface against the mirror. It was a tight fit, so all I needed was Liquid Nails. When that was all said it done all we needed was some paint to finish it all off and make it cohesive. Here’s the finished product. 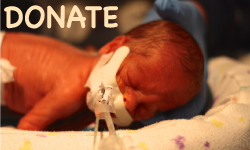 Copyright © 2019 · Tommy & Ellie · All rights reserved.